Let start this off by saying that I am not looking for sympathy, well, Ok, maybe a little bit. You see I am sitting here typing this with one functioning finger on my right hand. This is because I have torn the ligaments in my right, and I might add, very dominate wrist. This has required the application of a cast, from the middle of my bicep, to the middle of my hand. Now, I can not drive, carry a tripod, operate my camera, and barely type. For the time being, my birding is limited to the species that I can see on my walk thru the marina, to my office. Despite this handicap, the number of birds is still quite respectable. 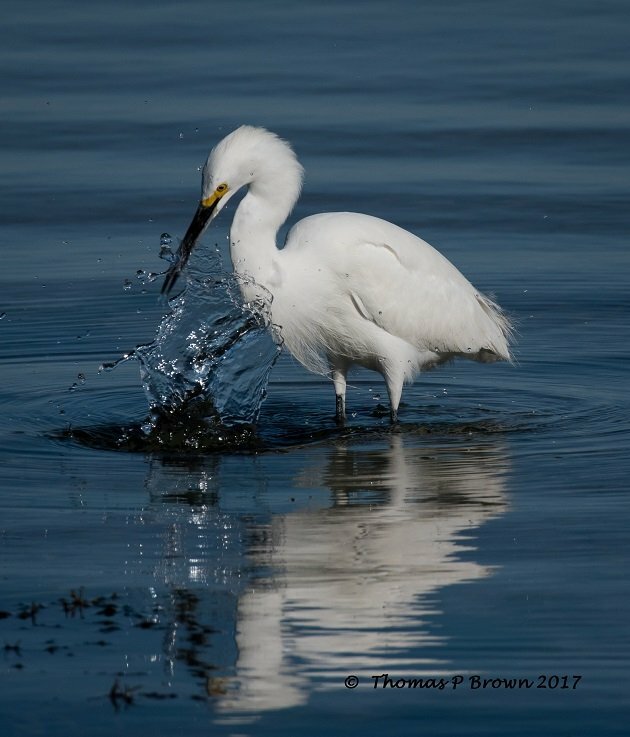 The majority of the species are based on a water related existence, like herons, egrets, and sandpipers. 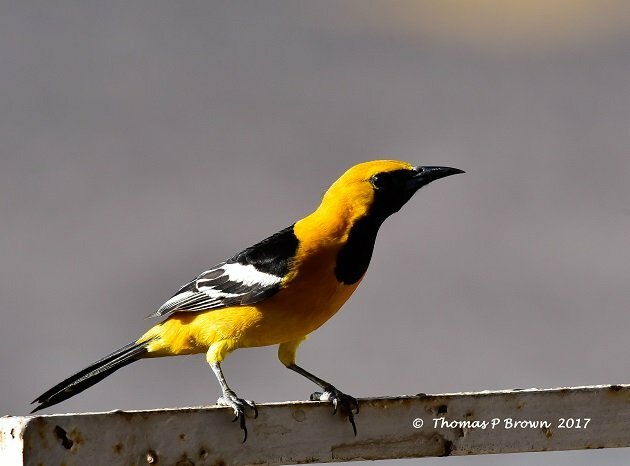 The few that are not, are usually hanging around the feeders right out side my office door. 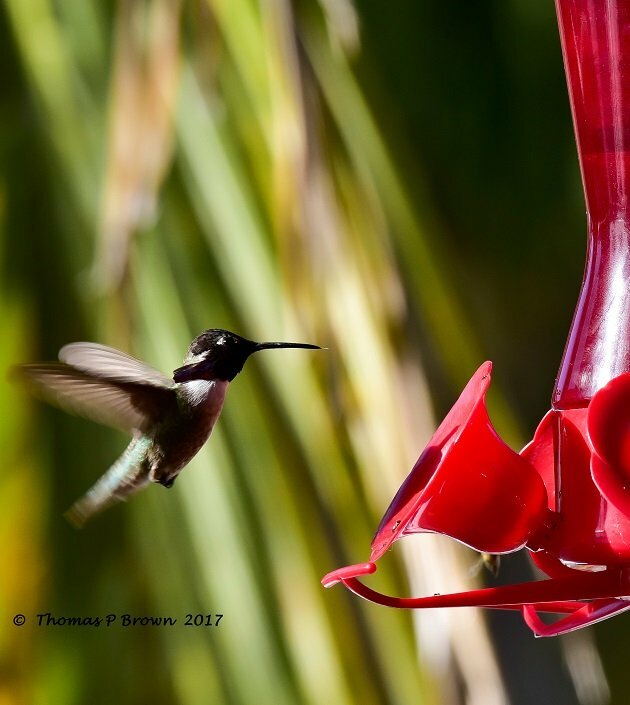 Costa’s Hummingbirds, Gila Woodpeckers, and Hooded Orioles are all nectar eaters, so the hummingbird feeder sees steady traffic all day. The English House Sparrows, and House Finches tend to make a pest of themselves, trying to place their nests in any opening or crevice they can find on one of the boats. The Costa-s Hummingbirds also frequently make their nest on the boats as well, but tend to choose boats that rarely, if ever move. The finches and sparrows number in the hundreds and don’t seem to care where they nest. 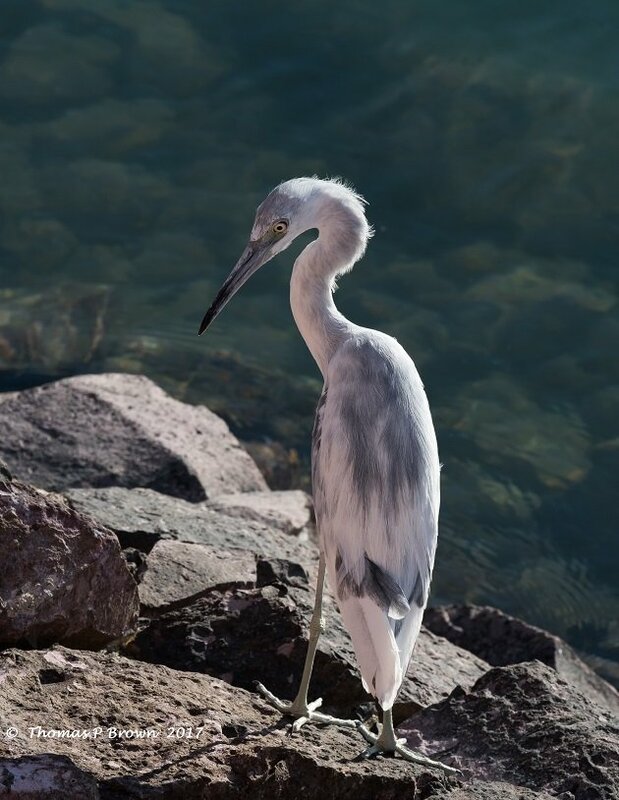 Every morning there are at least two Snowy Egrets here on the rocky breakwater, and have become so accustomed to people that they usually just stand there and let you pass by. 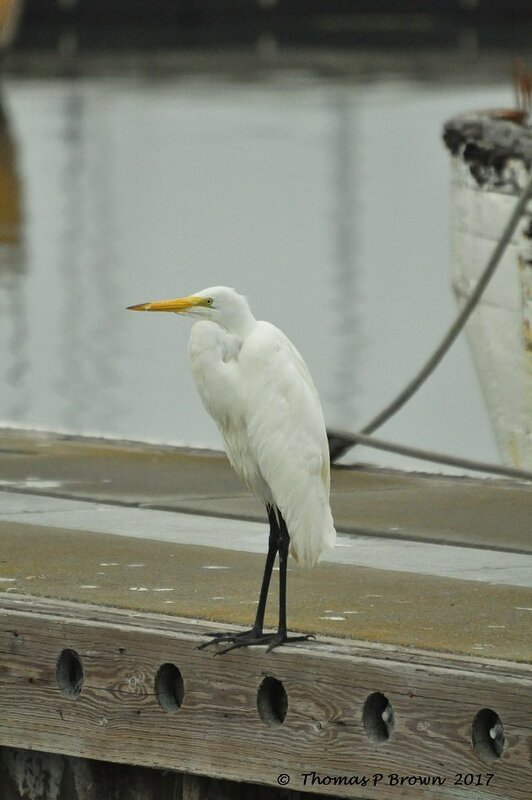 Great Egrets are a little less common, but there was one Monday morning when I walked down our dock. One of the more enjoyable things this last few weeks has been getting to watch the juvenile Little Blue Heron, slowly change colors. Each week, the nearly all white bird young bird, has slowly switched to the blue-gray coloration of the adult. 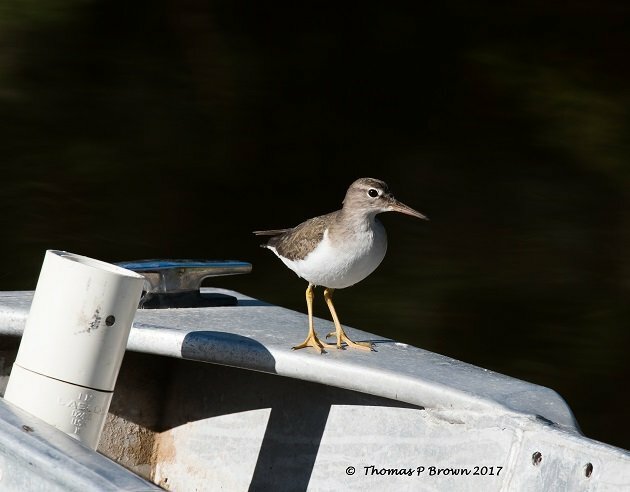 The Spotted Sandpipers are just starting to get their spots, and each week there is a couple of these little birds that bounce their back-ends through the water side rocks, looking for a snack. 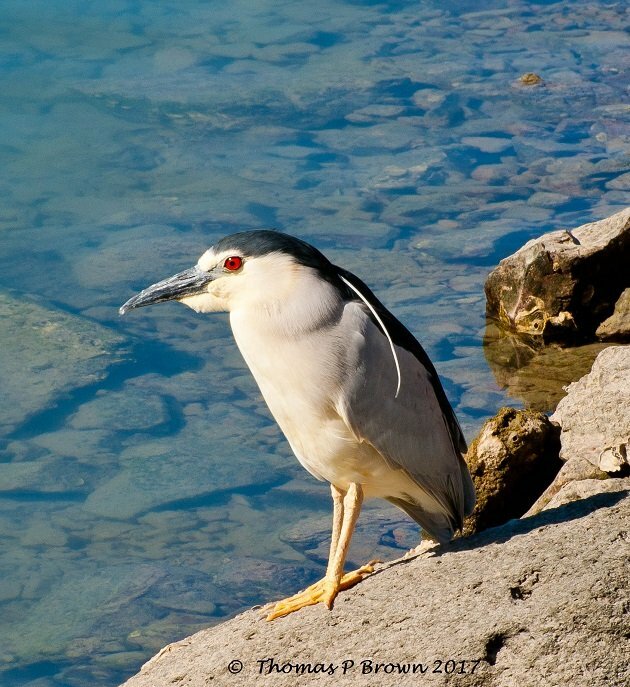 Black-crowned Night Herons are full time residents here in the marina, feeding off the docks and mooring lines at night and roosting the local trees during the day. 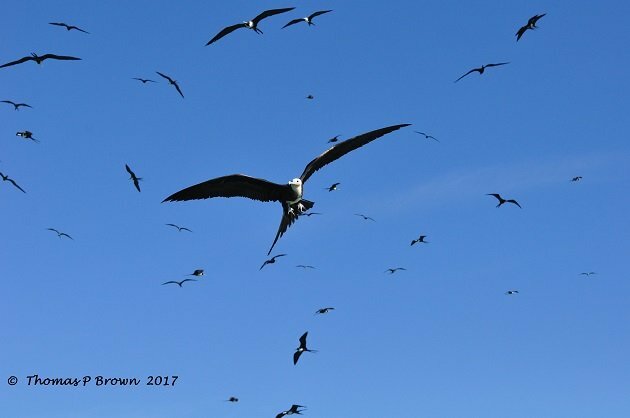 Every day, hundreds of Magnificent Frigatebirds fly over the marina, coasting on the currents. Most of the Brown Pelicans, Great Blue Herons, Gulls, Blue-footed Boobies, and Brown Boobies all tend to stay outside the breakwater. 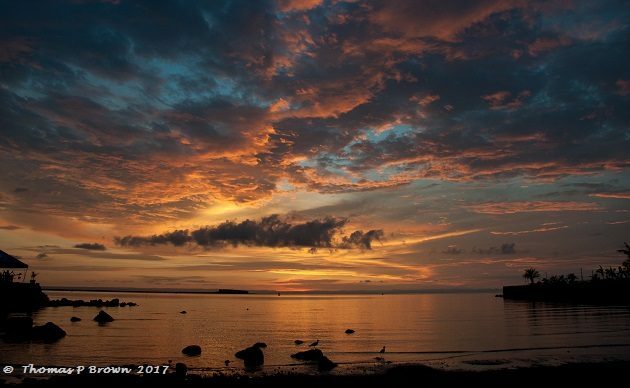 But, in a place with world class sunsets nearly every night, much like the one at the top of this story, it is hard to stay grouchy, no matter how much you really hate having a cast on your right arm. Thanks Clare…this is a real PITA, as I just can’t do anything with my left hand! I am looking at one more week, then see how it is doing. If things get better, then on to physical therapy. If not then I already have a prescription for an MRI in prep for surgery. I really need to come enjoy some of those Austrailian Sunsets, not to mention the birds!